Mike Hoffman's career has focused on electric utility, industrial project management and technology innovation. Prior to joining PNNL's Portland office he was a cofounder of a Smart Grid start up, Powermand. He worked for Bonneville Power Administration for 18 years, including being the original BPA lead for the Pacific Northwest Gridwise project. His work at PNNL has included developing technical, economic, legal, regulatory and evaluation criteria for renewables energy projects on DOD facilities. His publications have covered energy storage, utility transmission and distribution systems, smart grid systems and micro grids. 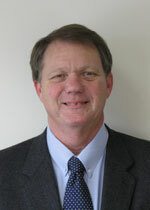 He was principal investigator for design of demonstration micro grid system at Joint Base Lewis McChord (JBML). His current work includes Fort Hunter Liggett and Fort Buchanan Microgrid design, renewables and energy storage integration. He led PNNL's DOE/DOS funded training of Iraqi Ministry of Electricity engineers for Operations and Maintenance covering generation, transmission and distribution systems in Amman Jordan, early 2013 and generation O&M class in Baghdad Iraq, fall 2013. Participated in the fall 2014 DOE led “Ukrainian Energy Contingency Planning (UECP) team”, which included American, Canadian and Ukrainian subject matter experts, working in the Ukrainian capital of Kiev. In July 2015 worked in Kiev updating the Ukrainian winter action plan and energy resilience/independence options for a 2 to 5 year time frame, as the SME for electrical infrastructure and energy efficiency. Microgrid integration of Renewables, Distributed Generation, Energy Storage and Demand Response.